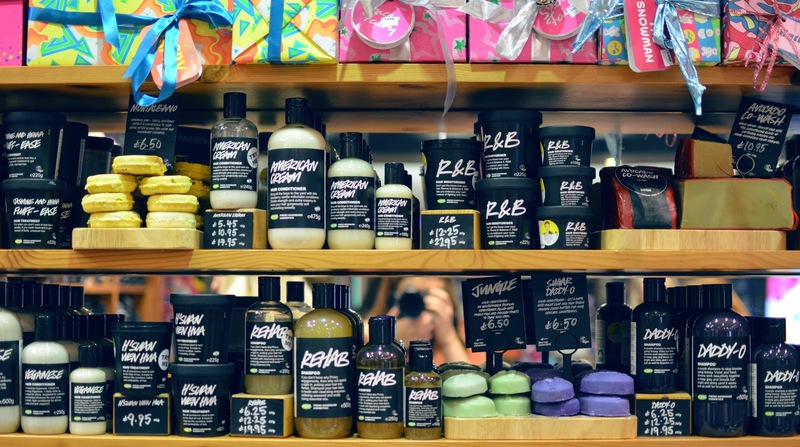 Lush has always been one of my favourite places for cosmetics, gifts and all things skincare. I always anticipate their new ranges, and this Christmas was no different. 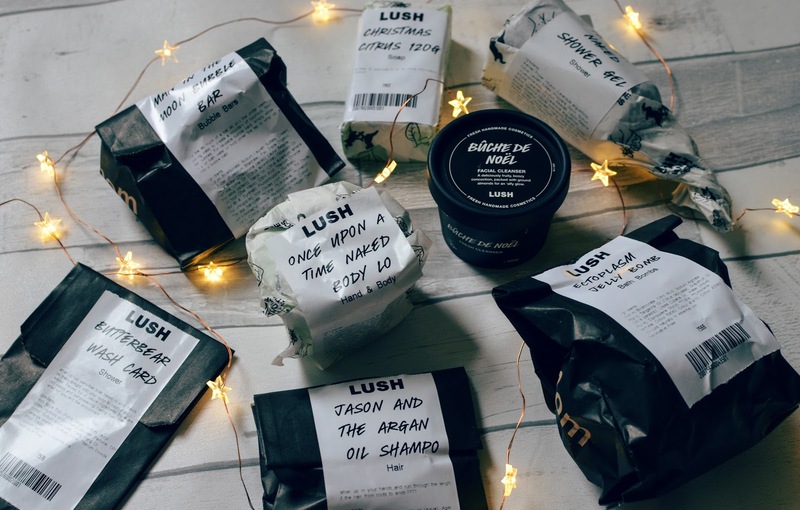 I didn’t quite know what to expect from Lush’s new concept of ‘naked’ products, but luckily the lovely team at Lush Crawley were there to introduce us to these unique products and all of their lovely Christmas goodies for 2017. Of course some of their classic Christmas scents are back as normal and also as naked versions, so we have the choice of trying something new or still being able to pick up our trusty bottle of Snow Fairy shower gel. 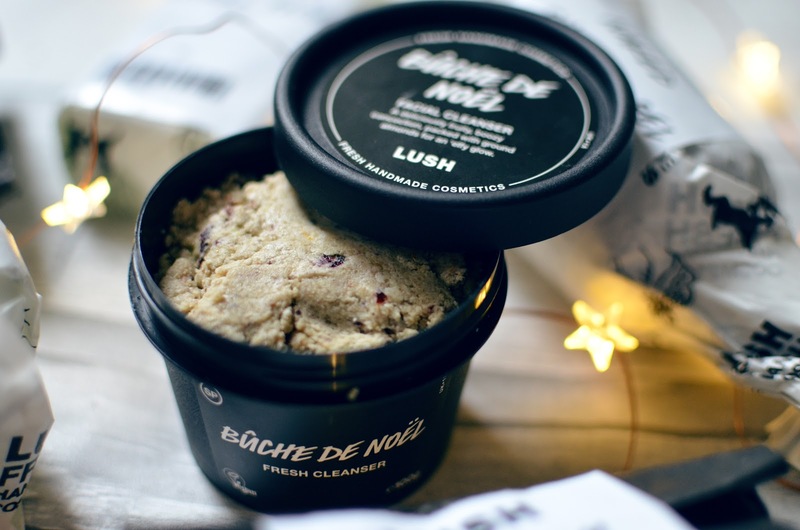 I think this is one of Lush’s most popular Christmas products among beauty bloggers! 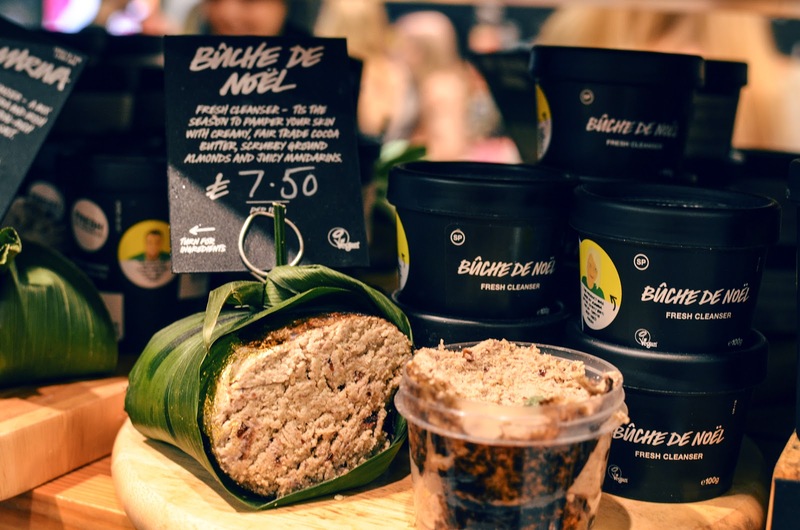 We also got to have a go at making our own Bûche de Noel fresh cleanser. Ground almonds are one of the main ingredients of the cleanser and act as a gentle scrub which is great for sensitive skin like mine, while the other ingredients soothe and cleanse the face. 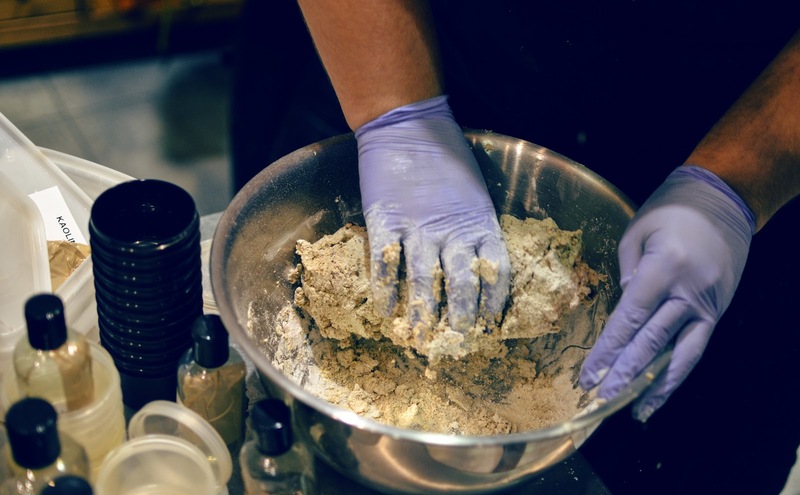 It was fascinating to see how simple it is to make some of Lush’s products, this is because they are packed with fresh ingredients. I had a go at mixing all of the ingredients together with the blended mandarin and cranberries. 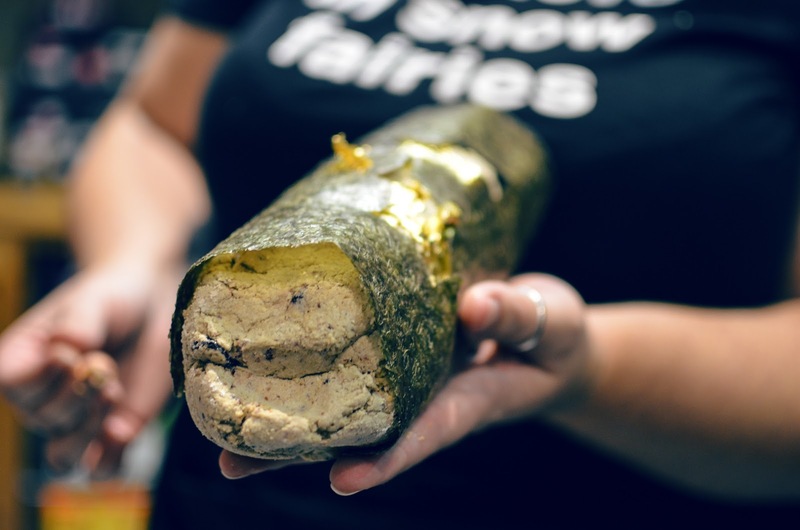 The mixture was then rolled into a long cylinder, coated with gold leaf and held together with seaweed. 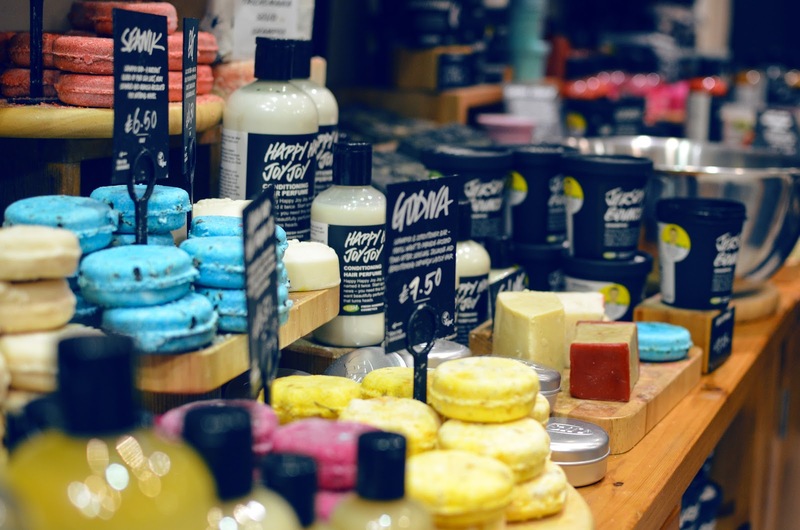 Usually when I am shopping in Lush I don’t have much time to stop and chat to the staff about new products as I will buy based on what other people are loving and pick up products that I have used before. 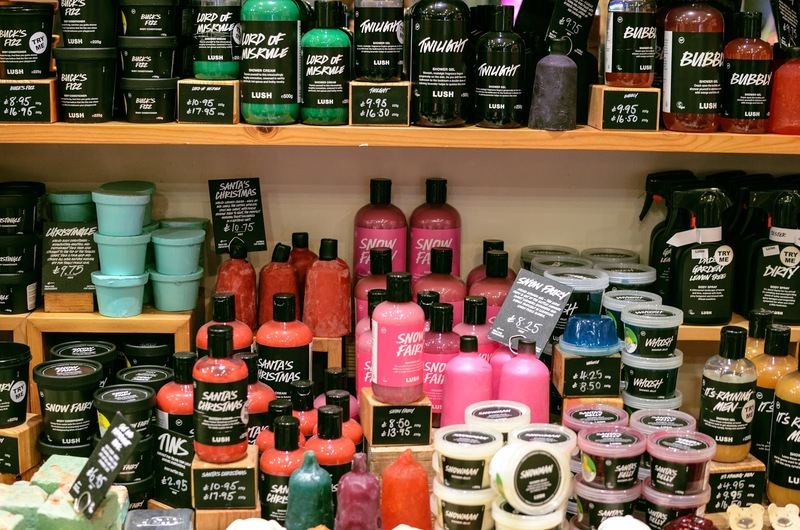 I was able to chat to the lovely team at Lush Crawley about some of their hair products as I haven’t used any of these before. I found out the Mark Constantine, the guy behind Lush is obsessed with haircare, he literally knows everything there is to know about hair. I’ve heard good things about these products before so was hoping to walk away with something for my frizzy and damaged hair. 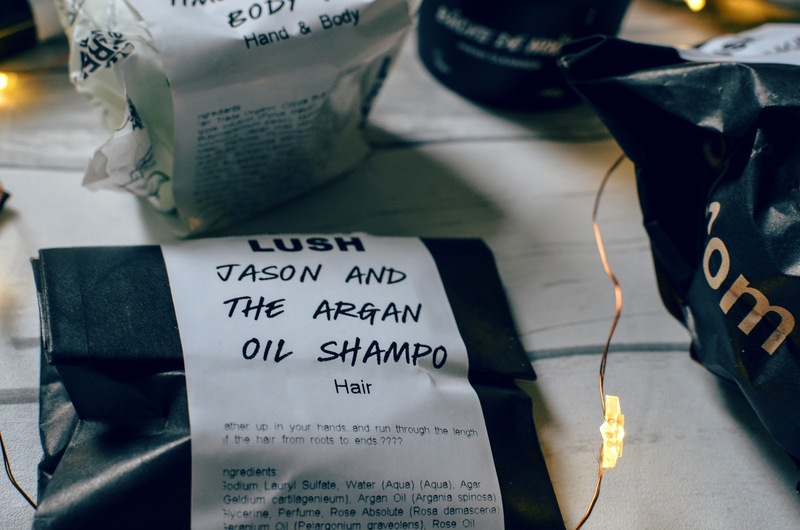 After chatting to a few of the staff I decided to have a go with the Jason and the Argan Oil shampoo bar, I found it hard to believe that a bar would actually turn into a shampoo like liquid when run under hot water and after a few uses I can tell you it actually does. I was so surprised at just how little was used up after each wash, the bar is supposed to last for up to 80 washes and after a week of using it I have hardly made a dent. So, back to Lush’s ‘naked’ christmas range. 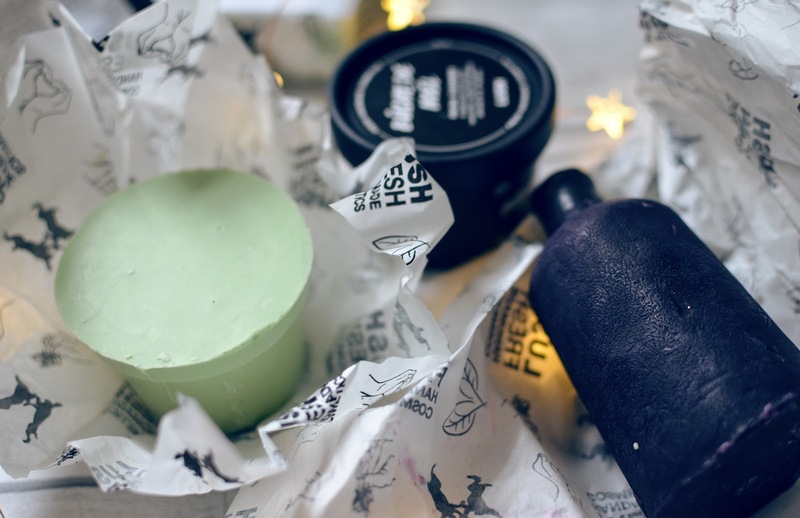 This year, Lush are saving money on packaging, plastics and paper by offering alternatives for their christmas products that are either, shower gels, body lotions or body conditioners. They come as bars or balms that scrap all of the packaging making them completely waste free. I was lucky enough to receive two naked products to try out; the Twilight Shower Gel and Once Upon a Time Body Lotion. Some of the other products I was gifted from Lush Crawley included; Ectoplasm Jelly bomb, Butterbear Wash Card, Man in the Moon Bubble Bar and the Christmas Citrus Soap. 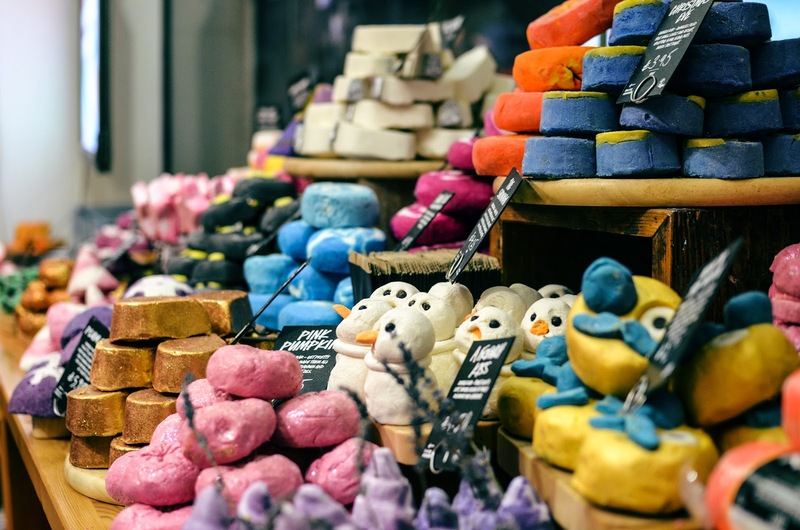 A massive thank you to the team over at Lush Crawley for putting on a wonderfully festive evening for myself and a few other lovely local bloggers. I feel like its either you love them or you hate them but what’s your opinion of Lush’s new naked products?